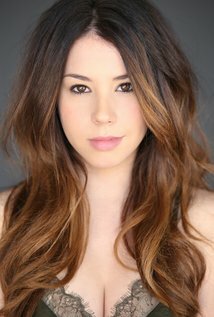 Jillian Rose Reed is an American actress who played the role of Tamara Kaplan on MTV’s TV series Awkward. She had a recurring role in the dark comedy-drama series Weeds (2008-2009) and starred in the 2012 TV film My Super Psycho Sweet 16: Part 3 as Sienna Brooks. She also voiced Naomi Turner in the computer-animated television series, Elena of Avalor. Born on December 20, 1991 in Hollywood, Florida, USA, to Rob and Lisa Reed-Tucker, she is the middle child of three, with an older brother Matthew and younger brother Robbie Tucker, who is also an actor. As a child, Jilly danced professionally jazz, tap and ballet. *She was born in Hollywood, Florida, USA on December 20, 1991. *She began dancing since the age of four. *For her work in Awkward, she received a Young Artist Award nominated for Best Performance in a TV Series – Leading Young Actress. *Due to her older brother Matthew having Type 1 Diabetes, she’s involved with the American Diabetes Association.